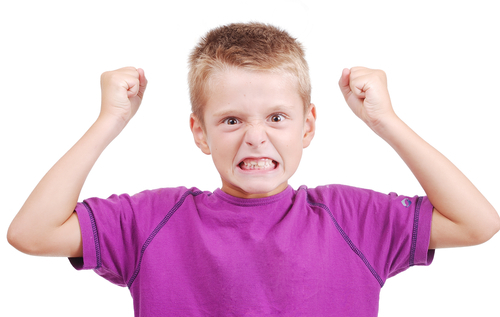 Children who experience extreme irritability in the face of frustration may have a distinct psychiatric illness that is not bipolar disorder. New research using magnetoencephalography and a computerized game rigged to induce frustration shows distinct neural correlates underlie the phenomena of irritability and distinguish a subgroup of children who may have a diagnostic entity distinct from bipolar disorder (BD). That’s important because many children who have symptoms of what has been called "severe mood dysregulation" (SMD)—characterized by chronic irritability and a tendency to respond to frustration in developmentally inappropriate ways—receive a diagnosis of bipolar disorder even though they lack the episodes of mania associated with that condition. The term "severe mood dysregulation” was developed by Ellen Leibenluft, M.D., a co-author of the new study, and colleagues at NIMH. Criteria for the syndrome are being tested in field trials for DSM-5. Read more about this syndrome and its possible inclusion in DSM-5 in Psychiatric News at http://pn.psychiatryonline.org/content/46/2/4.1.full.